NPC56P is the first build, so maybe the N6, Pixel C, and Android One phone won't get this OTA? 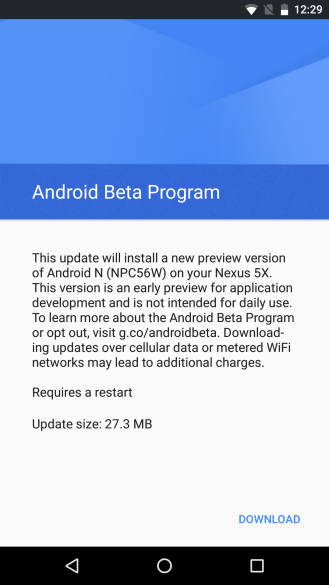 And indeed, the update is performance tweaks only and just for the Nexus 5X, 6P, 9, and 9 LTE. 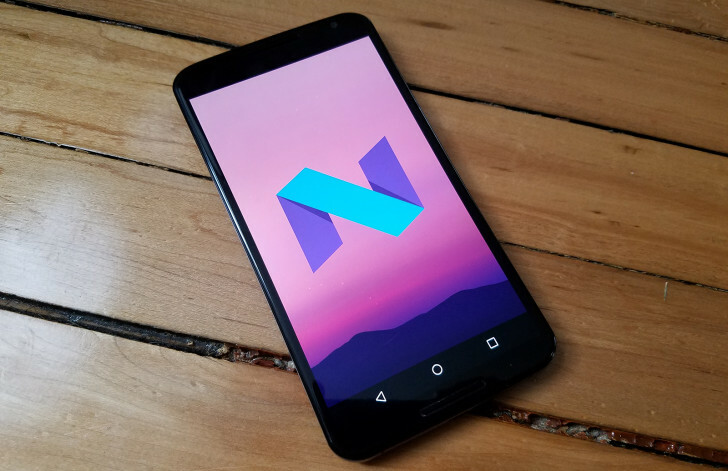 We knew Google was going to be pushing out OTA updates to the Android N developer preview this year, but I don't think anyone was expecting it to happen quite so fast. The first update is rolling out to devices now, and factory images have been updated for those of you planning to do it the old fashioned way. The OTA has build number NPC56W (5X and 6P), NPC56P (N6, Android One, and Pixel), NPC56X (Nexus 9), and NPC56R (Nexus Player). It clocks in at a little less than 30MB (the exact size will depend on the device). You have to be enrolled in the Android beta program to get the OTA, but Google says you'll be able to do that even if you flashed the first image. You can still flash the new image even if you're still on Marshmallow. We don't know what's new in the updated preview, but the small size seems to indicate it won't be anything dramatic. Probably just bug fixes and tweaks, but we'll let you know if anything else comes up. Some users are reporting that the fingerprint sensor isn't waking the phone up after the update, but such is life with preview software.